SALT LAKE CITY, Utah – HARMAN’s DigiTech today announced its next-generation Whammy pedal, featuring chordal Whammy pitch-shifting, additional Whammy intervals and true bypass operation is now available at music stores around the globe. The new Whammy retains the legendary Whammy sound that made it one of the most iconic pedals recognized by guitarists around the world, while adding never-before-available sonic capabilities. The Whammy lets guitar and bass players raise and lower their tuning by up to two octaves, to create pitch shifts from subtle to extreme and dramatic musical effects not possible with any other pedal. The Whammy now incorporates new pitch-shifting technologies that enable the player to bend entire chords up or down while keeping all the notes in the chord perfectly in tune. The Whammy also keeps its signature Classic single-note mode that has made the pedal one of the most recognizable in rock and contemporary music, along with nine Harmony two-note interval settings and two Detune modes. 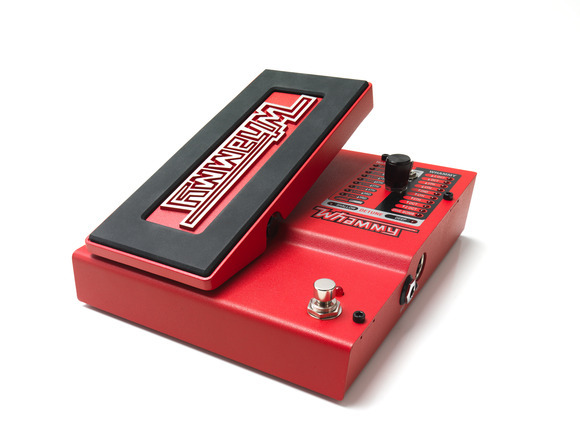 The DigiTech Whammy is currently available at $299.95 MSRP.